There is nothing like fresh bread out of the oven to complete a meal. 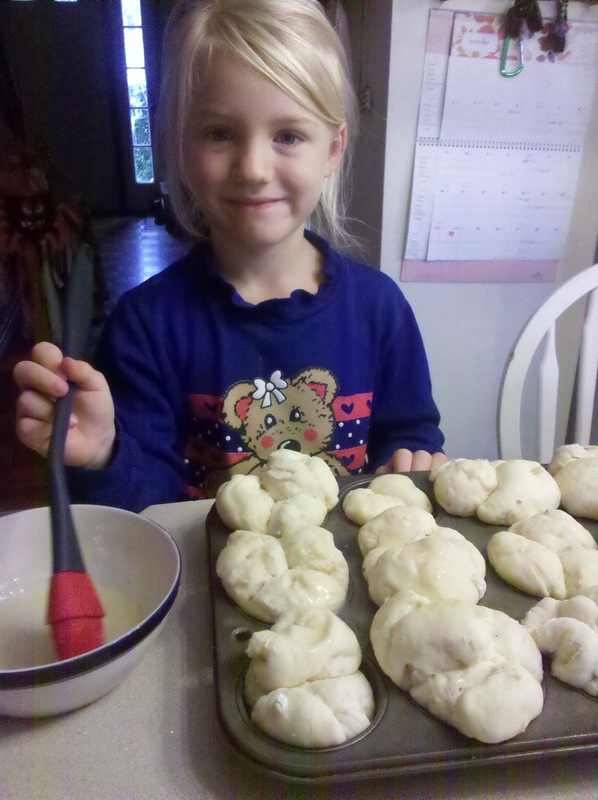 In the past my family has been big fans of frozen store bought rolls, like Pillsbury or Rhodes. 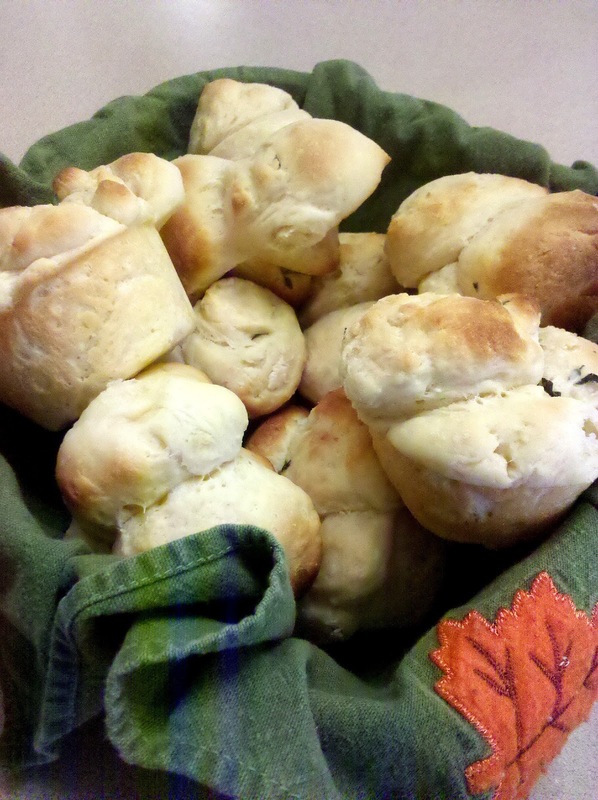 However, I recently discovered how much more delicious made from scratch rolls can be. A perfect compliment to soups, steak, or chicken. This side-dish complements the senses. This easy recipe recipe makes 18 rolls, which would be perfect for a Thanksgiving get together but if you are making just for a family dinner you can freeze what you don't plan on eating for another night. It's a great way to save a little money and have homemade deliciousness on hand! You will make these again and again to please the senses of sight, smell and of course taste! In your electric mixer with a bread hook at a low speed dissolve warm water, a pinch of sugar and yeast. Wait for bubbles to form around the edges, about six to nine minutes. Add a ¼ c of melted butter, 2 c of flour, 2 T of sugar and ½ t salt, ¼ t thyme, ¼ t oregano, ¼ t of rosemary. (These are three of my favorite spices but you can use other spices like dill or parsley instead. Make this recipe your own.) Mix in an electric mixer for about 1 minute or until everything is well blended at about a speed of 2. While your mixer is still going add 1-½ c of flour in ½ c increments until dough is smooth and elastic (or for about 2 minutes). Cover your bowl with a kitchen towel and set in a warm place, like a window on a sunny day, next to your stove if you are cooking or perhaps near your dishwasher if you are cleaning. Let rise for about an hour or double in size. Punch dough down. Flour your workspace and roll dough into a disc shape. Cut disc into 6 even wedges and divide each wedge into six even pieces. Preheat oven to 400 degrees. Brush rolls with melted butter. Bake for 15 to 20 minutes. Cool on wire rack. After they are cooled put any rolls you don't plan on eating in a freezer-ziplock back. Try to get out as much air as possible when you seal your bag. When you are ready to eat your rolls again heat oven to 325, spread out rolls on cookie sheet and cook for 25 minutes. No need to thaw before hand.